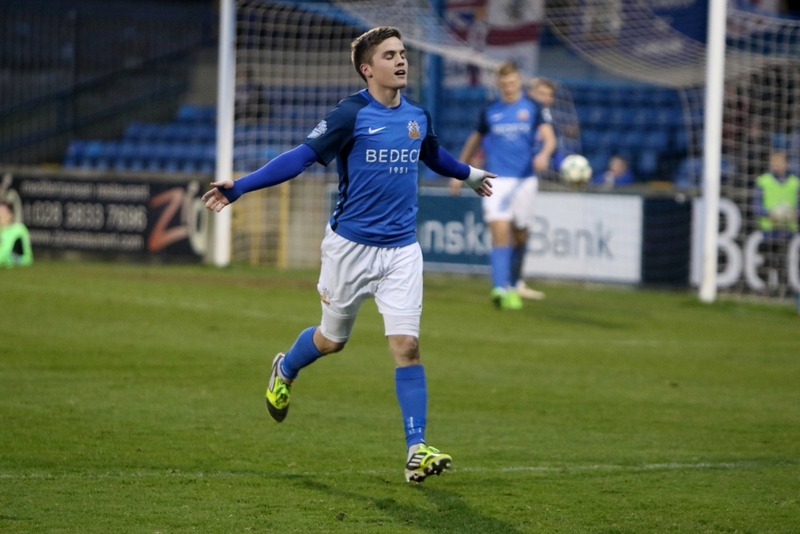 Glenavon got back to winning ways with a 3 – 1 victory over bottom club Ards at Mourneview Park on Saturday. Andrew Mitchell opened the scoring for the Lurgan Blues midway through the first half with a close-range finish. Winger Josh Daniels smashed in an excellent second goal early in the second period to double the home side’s lead. 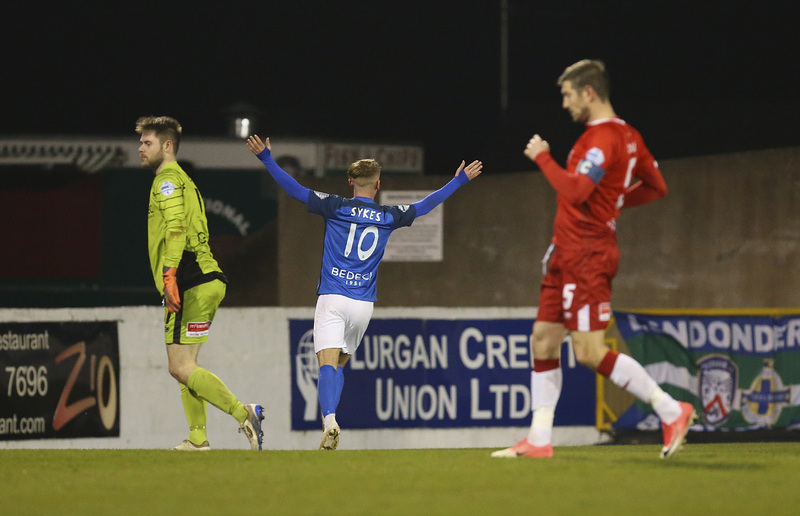 Ards pulled a goal back through substitute Michael McLellan in the 65th minute, but Sammy Clingan produced a cool finish 10 minutes later to wrap up a much-needed three points for Glenavon. The visitors made a positive start to the game, winning a series of corners in the opening minutes. Kym Nelson went closest to breaking the deadlock when he flashed a header wide. At the other end, Mitchell did well to pick out Stephen Murray with a cross, but the striker’s header was straight at Ards goalkeeper Sam Johnston. 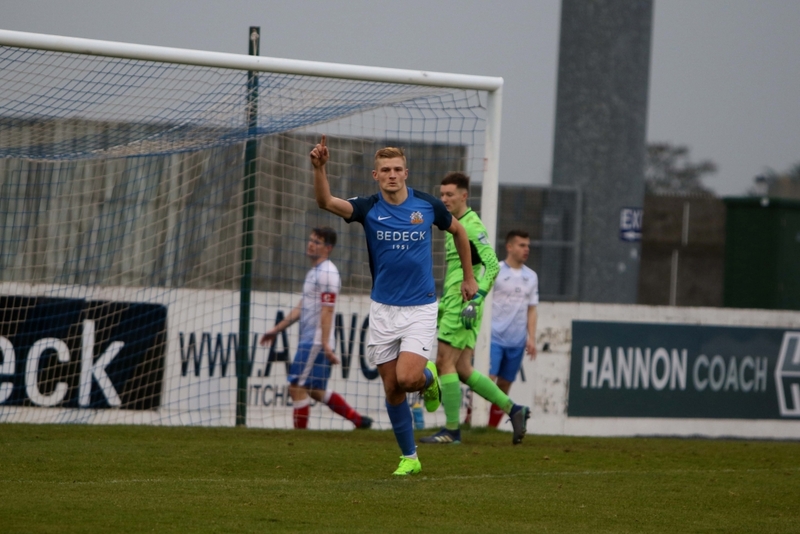 As the first half wore on Glenavon began to assert their authority on the game, and Murray went close again when he sent a lob over the bar after he’d been sent clear by a chipped pass from Mark Sykes. Murray was involved again when the opening goal arrived in the 20th minute. Rhys Marshall intercepted a Nelson pass on the right flank and played a superb ball down the line for Murray to run on to. Murray’s low cross into the box picked out Mitchell, who directed his right-footed shot past Johnston and into the net to grab his fifth league goal of the campaign. In the 31st minute, David McCallister saw his low shot from the edge of the penalty area saved by Jonathan Tuffey. 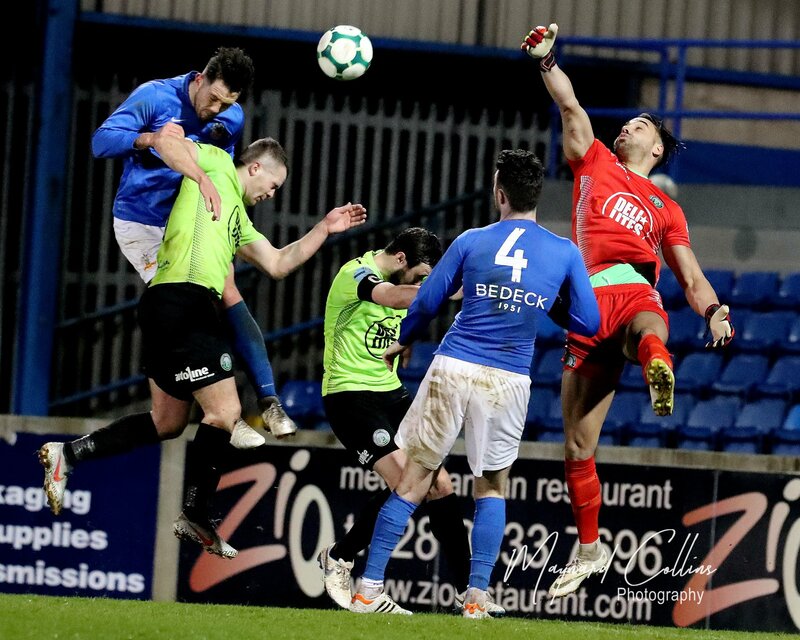 The Glenavon goalkeeper was called into action again moments later when he had to make a similar save to keep out a Michael Kerr effort. 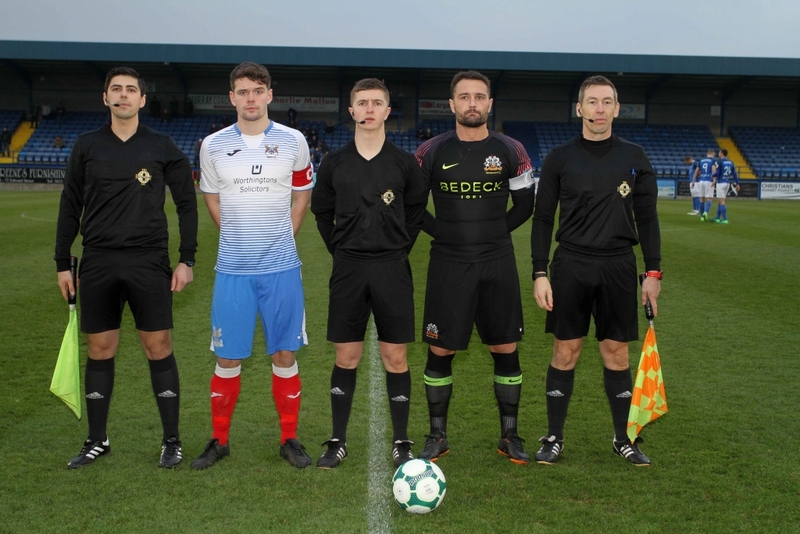 The only other opportunity which came Glenavon’s way as the first half drew to a close was when James Singelton headed over an Andrew Hall corner in the 37th minute, and the scoreline remained 1 – 0 at the break. The away side really should have drawn level in the fifth minute of the second half when captain Callum Byers was allowed a free header at a corner, but the defender failed to find the target. 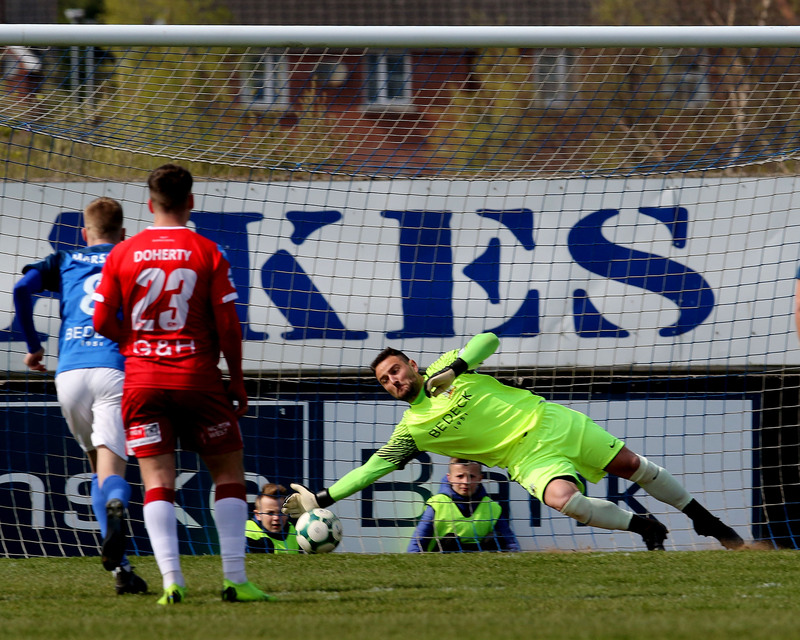 Glenavon responded in the best possible way to this let-off, by doubling their lead just three minutes later. Mitchell, who was named Man of the Match, swept the ball out left to find Daniels. The winger cut inside, past full-back Kerr, before rifling an unstoppable right-footed shot past Johnston to make it 2 – 0. It was very nearly 3 – 0 two minutes later in spectacular fashion. 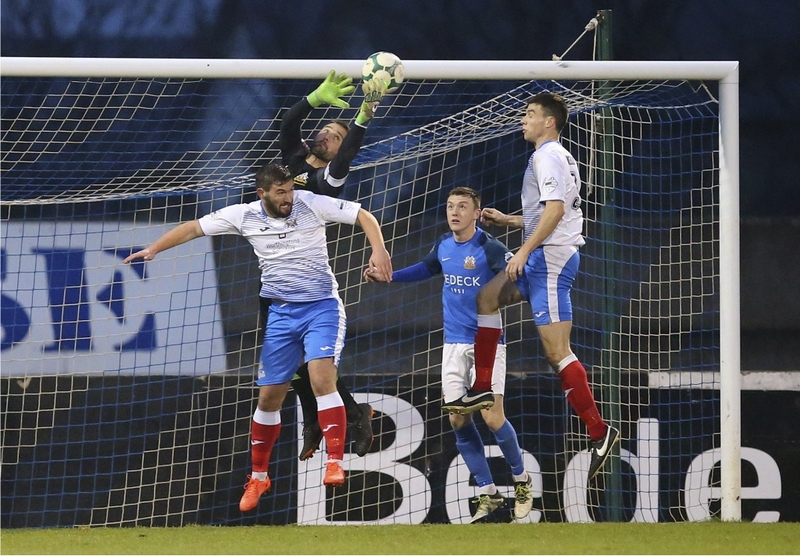 Mitchell crossed into the box for Sykes and Glenavon’s number 10 met the ball with an audacious overhead kick which was destined for the bottom corner, only for Johnston to dive down to his right and make a brilliant save, pushing the ball round the post to safety. Ards got themselves back into the game in the 65th minute when substitute Michael McLellan turned the ball into the net following a scrappy passage of play. Nelson and McCallister combined on the left before the latter swung a cross into the box which Tuffey failed to hold. Singleton tried to hook the ball clear, but the full-back only succeeded in picking out Gareth Tommons on the edge of the penalty area. Tuffey got down to his right to keep out Tommons’ deflected shot, but McLellan was on hand to put the loose ball into the net. Nerves set in amongst the Mourneview faithful as they feared an Ards comeback and the prospect of Glenavon dropping yet more November points. 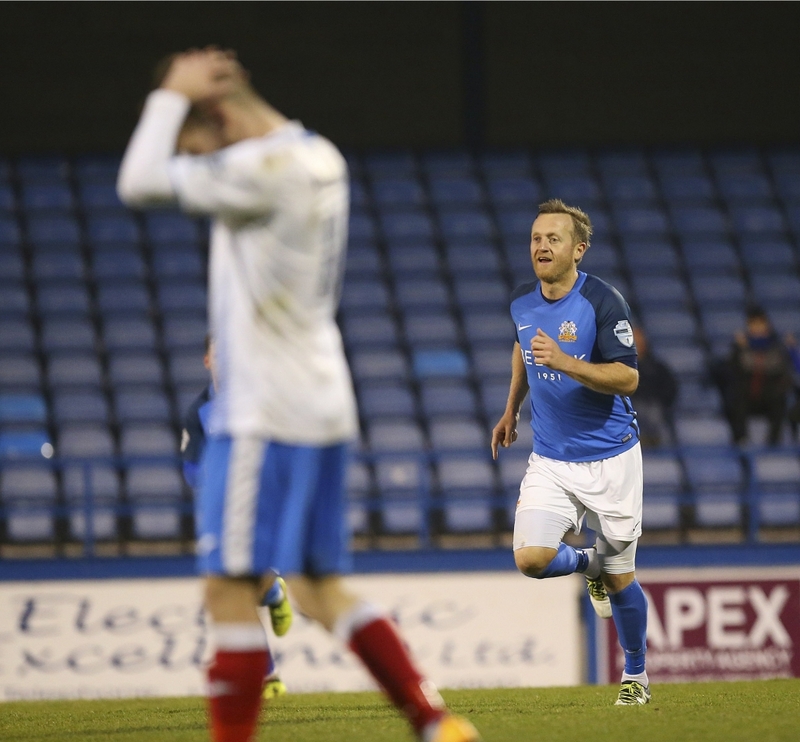 However, Sammy Clingan, reinstated to the starting line-up following his injury troubles this season, settled the nerves in the 75th minute when he restored Glenavon’s two-goal lead and wrapped up the three points. First, Hall picked Mitchell out with a cross. With his back to goal, the striker turned Adam McAleenan and got a shot away, only for it to be blocked by Byers. The ball then fell for Murray and he teed up Clingan on the edge of the box. The former Northern Ireland midfielder calmly side-footed the ball high into the net with his right foot to make it 3 – 1. Substitute Jordan Jenkins came close to adding his name to the scoresheet in the 84th minute. Sykes’ shot squirmed beneath Johnston, but the goalkeeper recovered and managed to gather the ball just as Jenkins was poised to pounce. 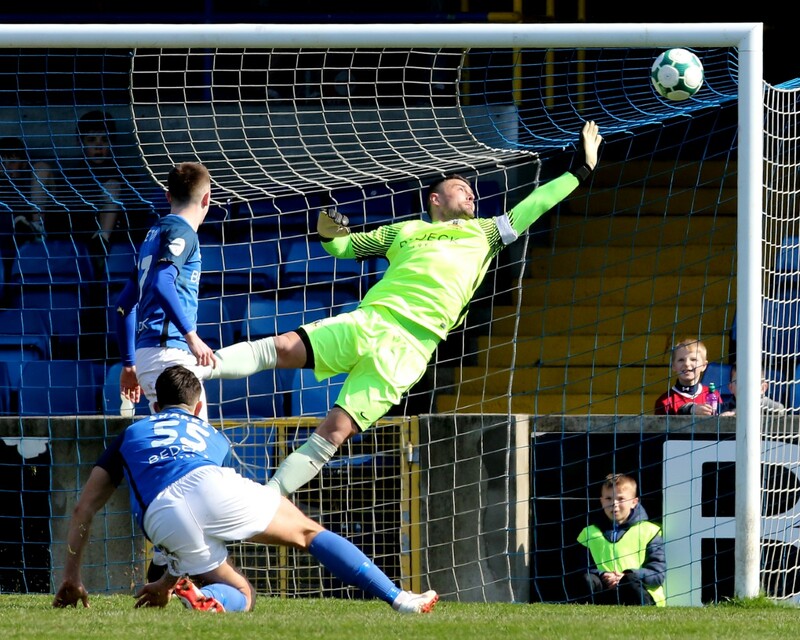 Ards had one last opportunity in the dying minutes when McLellan had a decent effort from a free-kick, but Tuffey pulled off a good save to ensure that the game finished 3 – 1 and Glenavon picked up their first win in four outings. 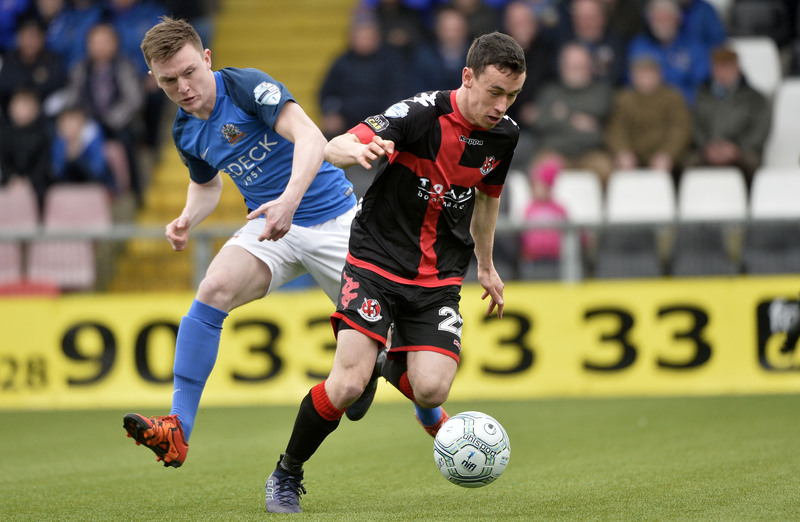 Despite their poor run of form in the build-up to Saturday’s game, Glenavon remain in third place, just one point behind second-placed Ballymena United and two points off leaders Linfield, and the Lurgan Blues still have a game in hand on both of those teams. 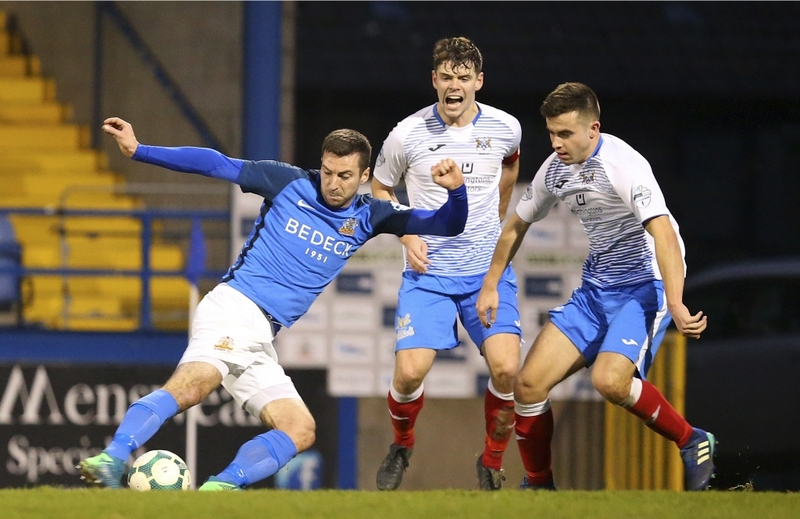 Glenavon are in Mid-Ulster Cup action on Tuesday night (November 27th), when they welcome Dungannon Swifts to Mourneview Park for a semi-final tie (kick-off 7.45pm), while Institute are the visitors to Mourneview next Saturday (December 1st) for Glenavon’s next Premiership fixture (kick-off 3pm).